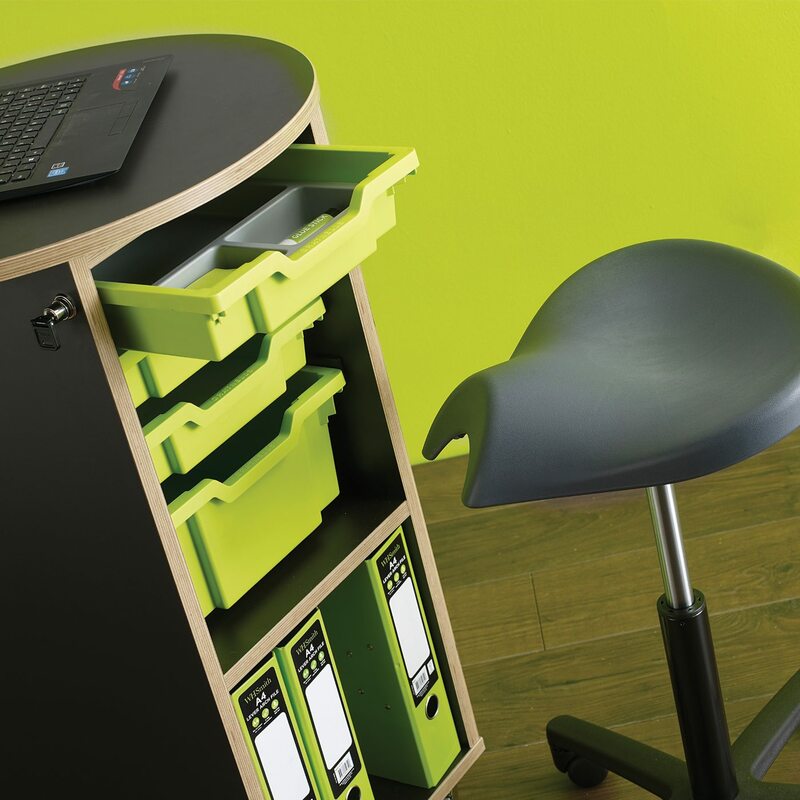 Dash - Learniture® educational furniture. As more and more teachers tell us they don’t want to be rooted to the spot behind a big desk at the front of a class. 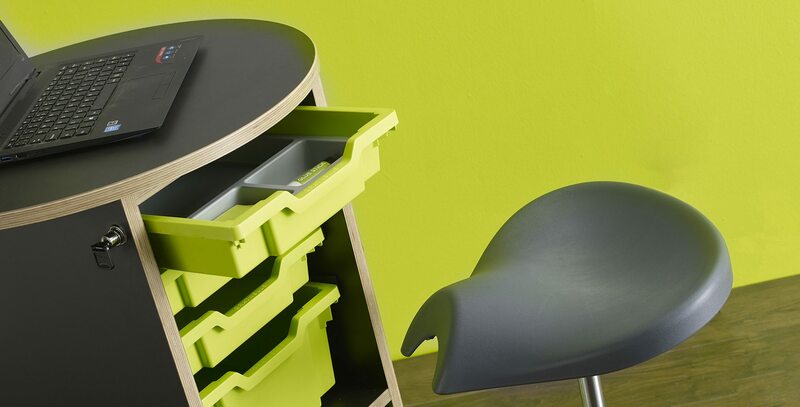 Smaller, mobile pieces of furniture are required which you didn’t have to sit at, but could use whilst standing were what they wanted (you can always use a Turn & Learn if you need to take the weight off your feet). Our Dash still has storage (and the top tray is lockable too), and if you want more trays, there’s a separate kit you can buy to add them.